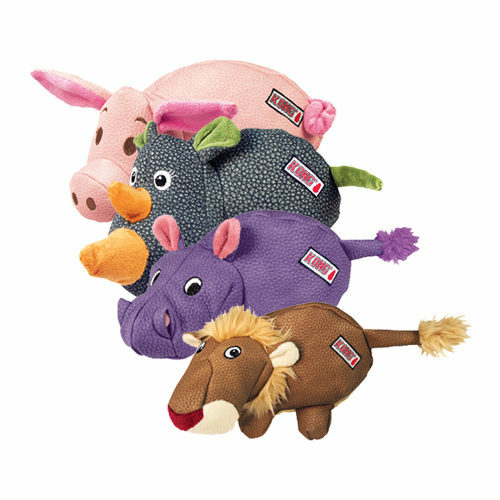 KONG Phatz is a fun cuddly toy for your four-legged friend. This cuddly toy has a unique texture that will provide lots of entertainment. The toy contains a squeaker, keeping your dog stimulated to continue playing. Order swiftly and securely at Vetsend.co.uk! Are you looking for a fun cuddly toy for your dog? The KONG Phatz has a unique texture, providing plenty of entertainment for your dog. Thanks to the squeaker in the toy, your dog will be focused on the cuddly toy for longer. KONG has many more fun toys for your dog. View the entire KONG range here! Have you used KONG Phatz before? Let us know what you think about this product.